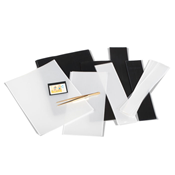 Stamp mounts - buy Leuchtturm quality mounts here! 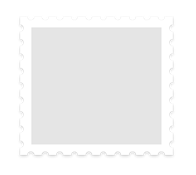 Whether you're mounting stamps, souvenir sheets or full sheets, you'll find what you're looking for here. Our Lighthouse/Leuchtturm mounts produced by Hawid are available in different heights in black and clear and can easily be cut to the right width. 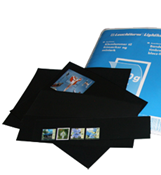 Opt for maximum protection for your stamps from stocking, color change, dust and humidity with our high-quality mounts. Lighthouse / Leuchtturm mounts - Clear - 150 gr. - Height 24-31-41 mm. Lighthouse / Leuchtturm mounts - black - 150 gr. Height 44-164 mm. SF-strips 217x33 mm, black backing film - 25 pcs. SF Pre-Cut 26x36 mm, black backing film - 50 pcs. 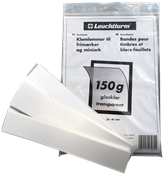 Lighthouse / Leuchtturm mounts - Clear - 150gr. - Height 44-164mm. Lighthouse / Leuchtturm mounts - clear - 500gr. - Height 24-164 mm.